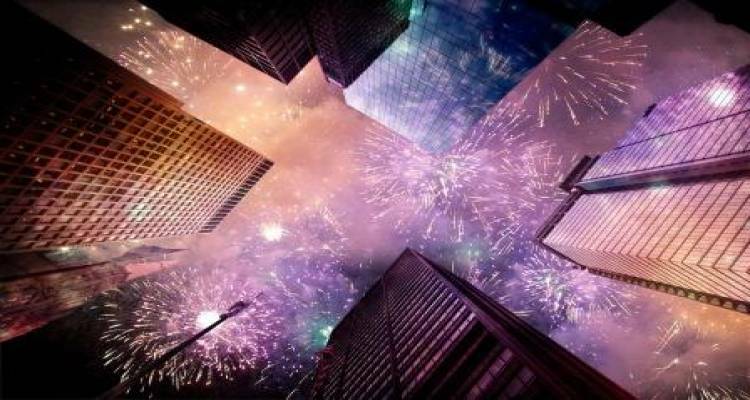 SMS messaging at New Year's eve: Great or terrible timing? This is the time for New Years’ resolutions. Glasses are raised to good intentions for 2017. Do you want to get in shape, quit smoking, finally take that trip you never made? Why not offer your customer a helping hand in achieving his new goals? For example, send him an SMS coupon, offering a nice discount on your products or services helping him achieve his mission. Or how about a free membership to the gym, something to distract him from cigarettes or some unique travel tips? Like the many friends and family that send him an SMS message, you too can take this moment to let him know you want the very best for him in the new year. Of course, New Year’s Eve is not just about making serious plans for the year that’s just begun. First, some celebrating needs to be done. Some have bought tickets for a party weeks ago, but still many people just head out to the city to find the perfect venue to raise their glass. Are you hosting a party? You might want to consider sending an invitation to your NYE celebration via SMS. By sending a personalised message to those close to you, you can quickly have your party sold out. Now I hear you thinking, yes that all makes sense. But with all consumers texting their friends and family to send them the best wishes, my message is likely to be heavily delayed or even completely unable to reach any mobile phone at all. As always, CM’s Network Operations Center, will be crewed during the turn of the year. Even though New Year’s Eve is typically a very busy time for mobile networks, this is no problem for our platform and connections. The delivery rate at New Year’s Eve is almost identical to that of other times. Only the delivery speed might be delayed slightly. But because CM has direct connections to the many operators, these delays are limited to a minimum. This way, you needn’t worry about your SMS messages, we will make sure it reaches its destination in time. Because messages are delivered the same way they are on other moments, many of our customers worldwide choose to send out SMS messages at New Year’s Eve. Because our customers are based all over the world, sending all these messages is spread over the whole day. From midnight in Australia to the Ball Drop on Times Square: our Network Operations Center monitors the sent messages and makes sure these are delivered at the right place at the right time. On behalf of everybody here at CM Telecom, we wish you a happy and prosperous 2017.